I found this local sign yesterday. I think it says it all. What a Deal! 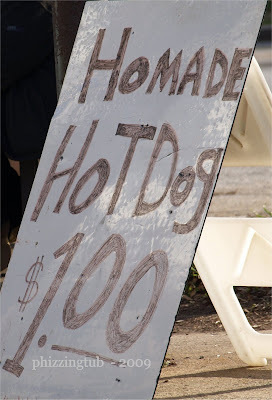 You don't find Homade hotdogs that often, and for only $1!